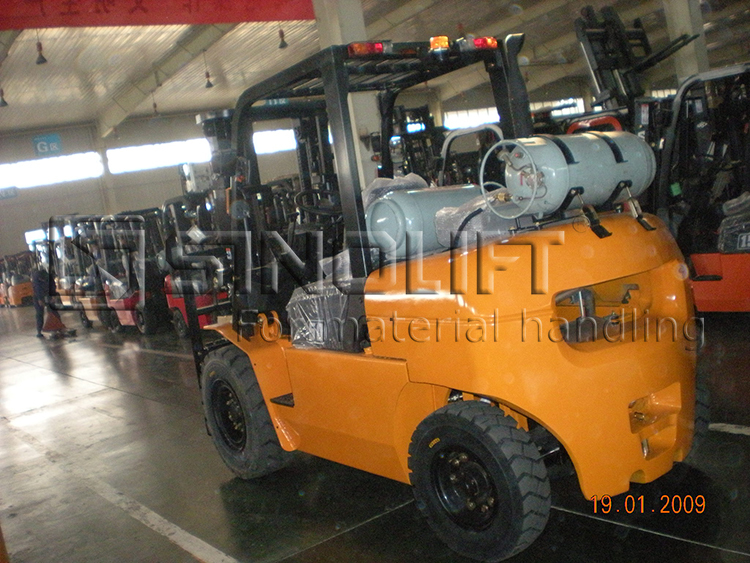 L Series 4-5T GAS LPG Forklift - Products - SINOLIFT MATERIAL HANDLING EQUIPMENT CORP. Product Introduction：The latest appearance design method was used to create the R series fluent and aesthetic outline, which matches the latest appearance trend. The latest appearance design method was used to create the R series fluent and aesthetic outline, which matches the latest appearance trend. 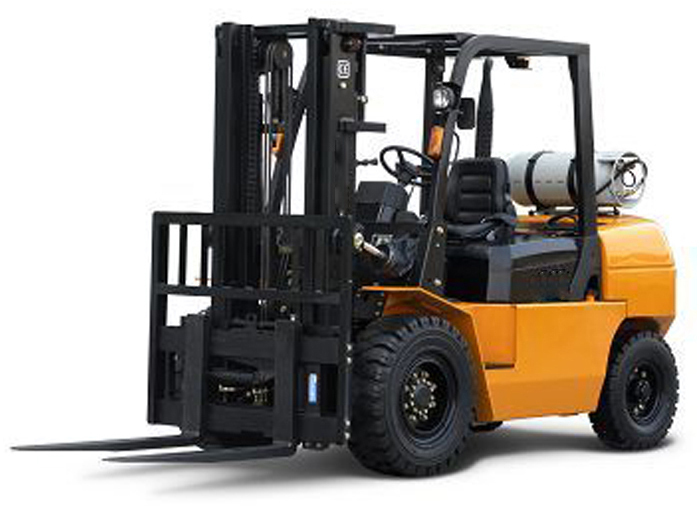 Thanks to the long wheelbase design, the longitudinal stability of whole truck is much better, the hoisting capacity at same lift height are enhanced by an average of 100KG compared with former truck. 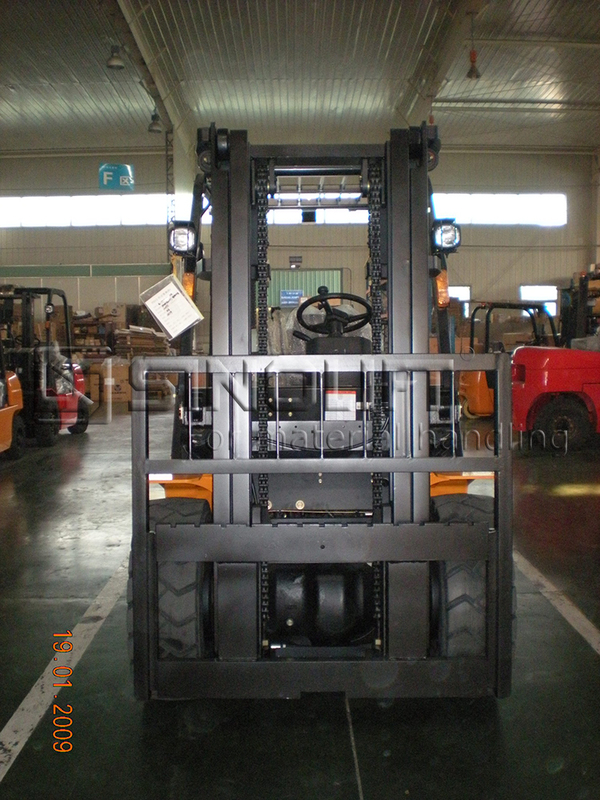 At the same time, it prolongs work time of rear wheel as the reduced rear axle’s load. 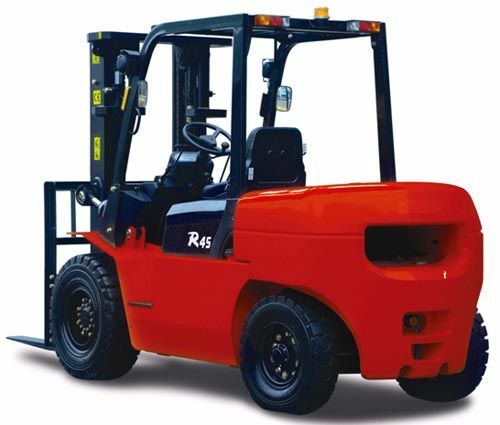 The travel speed of truck has been raised, for example, the 2-2.5T type comes to 20km/h. Dual air spring supporting hood and one-touch removal of the floorboard get you right to service operations, and reduces down-time. The reasonable arrangement of fuse and installation of instrument, enable the replacing for fuse and maintenance for instrument easier. 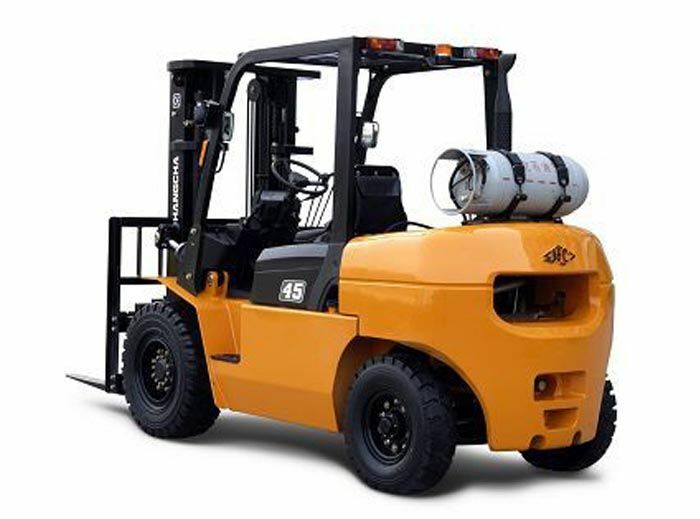 The environment friendly engines all meet EU stage-2 emission control regulation. The noise emission also comes to EU standard. 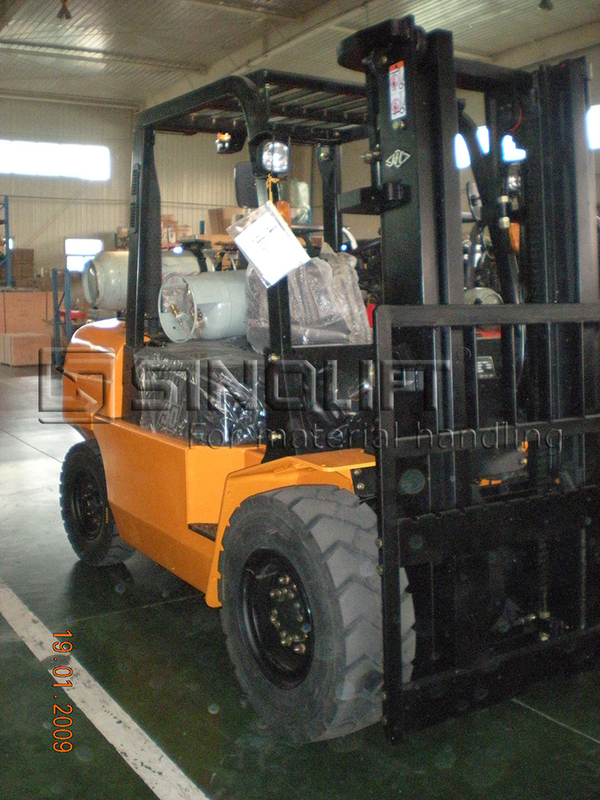 The metal hood and molding sound insulation matches environmental protection demands. A throttling device is set in pipe system，the mast won’t result in failing control of mast even some pipes broke. 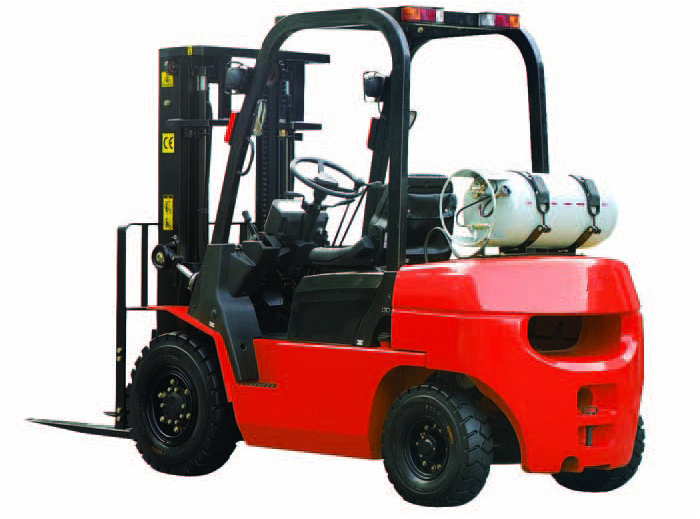 By using a built-in hood lock device, the safe level of the truck has been raised.